UPDATE 11/13/2017: Above, scenes from a darkened Broadway. More on the night’s power outages, below. UPDATEx2 11/14/2017: More than 3,000 were still without power Tuesday morning around the Hill — many of them around the Summit Ave area of the Hill. More updates below. area, Bellevue, Tacoma, Bremerton, and Olympia. While the grid serving Capitol Hill is about as stout as they come thanks to work to move wires underground, big infrastructure investments for Capitol Hill Station, the ongoing development in the area, and First Hill’s medical services core, the leafier edges of the neighborhood and surrounding areas like the Central District have plenty of water-soaked trees and branches. We’ll be on the watch for any power issues. The Seattle City Light Status page is here. Let us know what you’re seeing. You can check out area streets on the CHS traffic cameras page and see current conditions including recent wind speed readings on the CHS weather page. UPDATE 4:50 PM: With winds peaking just before 5 PM, Seattle Fire was responding to reported wires down on Belmont Ave at E Olive Way after a tree or branch fell in the area. There were reports of a transformer explosion and wires down across a few parked vehicles in the area. Meanwhile, a tree took down utility lines at 22nd and Prospect around the same time. 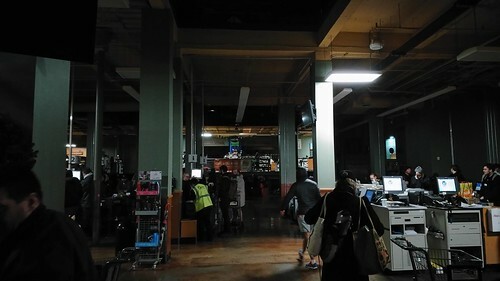 Around 2,700 customers were reported without power due to the Belmont incident — some 40,000 are without power across the city. UPDATE 4:58 PM: Outages are now up to more than 7,400 on Hill with another 780 or so in Montlake from an earlier outage. Gusts of around 25 MPH are being reported around Capitol Hill. A reader reports that Capitol Hill Station is not currently providing light rail service. UPDATE: Sound Transit says the outage was temporary and service has resumed with some delays. UPDATE 5:25 PM: With an apparent lull in the gusts, more than 60,000 are now reported without power across Seattle with outages dotting Capitol Hill. We count more than 11,000 customers without power around Capitol Hill. Restoration times vary but City Light is currently estimate return of service for many before midnight. You can report outages at (206) 684-3000. 911 is working at capacity right now. Priority calls are for life-safety incidents. Please be patient as SPD is working with other city agencies as we deal with the wind/rain. We went out to check out the incident at 22nd and Prospect but it was difficult to get close enough to see how much damage the downed tree or branches had done to wires in the area. Meanwhile, Alex Garland braved the arcing wires on Belmont and the darkness of Broadway to check out the still busy streets. 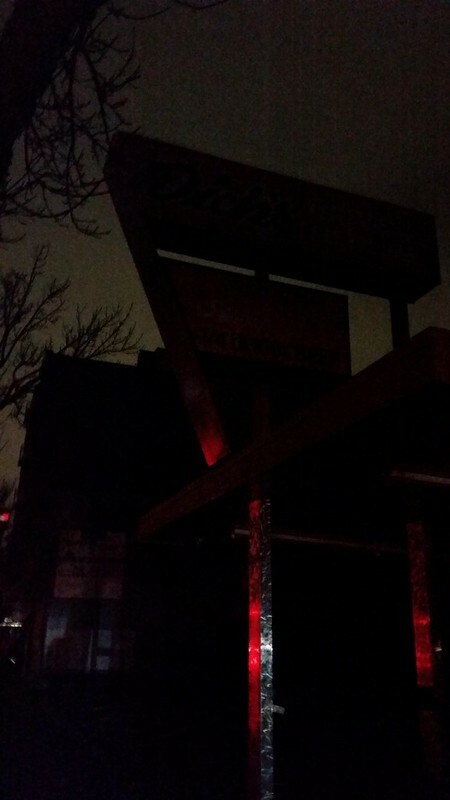 Many businesses in the area are closing due to the lack of electricity. UPDATE 6:35 PM: Radio stations including KUOW and KEXP suffered broadcast disruptions after a reported lighting strike near equipment on the E Madison radio towers earlier this afternoon. The stations continue to stream online. UPDATE 10:10 PM: First responders are preparing for some repairs to last later into the night. SPD has officers at many areas where wires are down. At at least one location, the officer reports the crew expects repairs to take all night, per East Precinct radio. City Light reports it has restored service to 15,000 already on the night. More than 46,000 customers across 173 outages are still without power. UPDATE 10:55 PM: More than 4,000 customers remain without power. 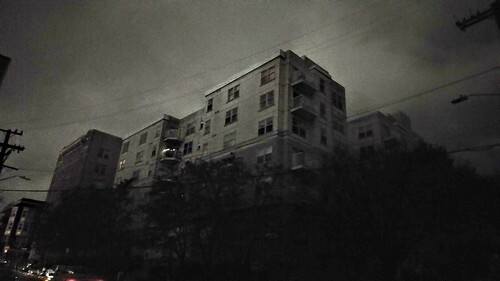 UPDATE 11/14/17 6:42 AM: As many begin to wake up across the neighborhood, some 3,000 remain without power across Capitol Hill with the bulk of customers waking up in the dark around the Summit Ave area of the Hill. 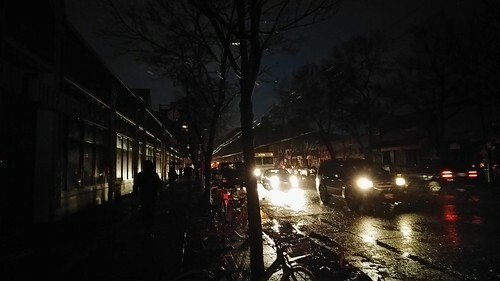 A big portion of that group went dark Monday night well after the highest winds had past as City Light worked to restore power in the area near where a tree or branches reportedly came down on lines near Belmont and Mercer. City Light expects to restore power to about half of the concentration around Summit… any… minute… now. UPDATE 11/14/17 8:03 AM: Many Summit area apartment units will remain dark and cold for the day. City Light’s revised restoration for many of the remaining 3,000 customers reported without power is now late Tuesday afternoon. UPDATE 11/14/2017 8:50 AM: Scott Thomsen of Seattle City Light tells CHS that crews continue to work to restore power across the city but have the most work remaining on Capitol Hill. “Our two biggest outages are on Capitol Hill, both have crews actively working on them at this hour,” Thomsen said. Thomsen said you can expect the rate of restoration to slow — as larger components of the grid are brought back online, the remaining damage requires more and more surgical work on elements like lateral lines, and individual transformers damaged during the storm. City Light expects the bulk of the Hill customers without power to see a restoration of service by late afternoon but many repairs for individual sites could last into the night. And crews are ready for more. Forecasts call for winds to pick up again later Tuesday. Thomsen said the scenario reported by people in the Summit area of one of the remaining outages beginning Monday night well after the biggest winds of the storm blew through is a common one. When lines are reenergized after restoration work, the power surge can compromise weakened lines and equipment in the grid. You can report any new outages at (206) 684-3000. This entry was posted in News, etc. and tagged power outages, weather by jseattle. Bookmark the permalink.